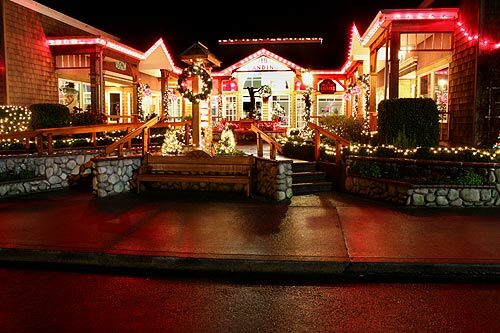 (Cannon Beach, Oregon) – Some of the founding fathers and mothers of the north Oregon coast town of Cannon Beach really made a difference. They made a mark on history in the area. So it's in that spirit that the Cannon Beach History and Museum’s most recent exhibit features the Museum’s first ever photograph exhibit. 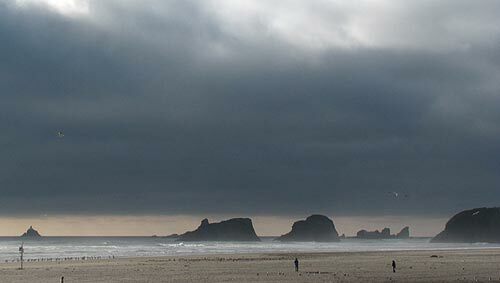 The “Families of Cannon Beach” exhibit will explore the central idea of family history and community through photographs, family heirlooms and film. 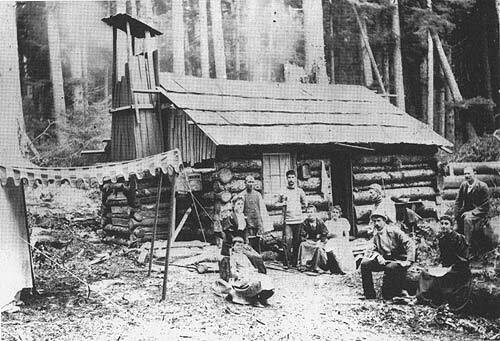 Each of those original settler families of the area faced their own sets of difficulties, and these continued for those who stayed generation after generation. 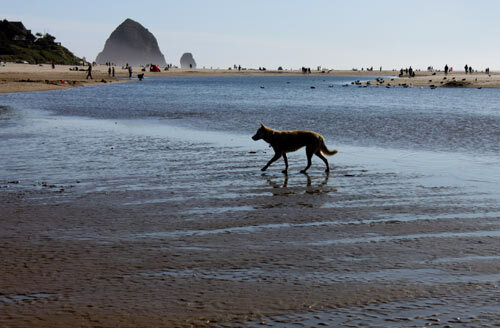 The exhibit examines those, but it also looks beyond Cannon Beach. Museum director Elaine Murdy said the purpose of this display is to also ignite interest in family, while exploring the way traditions and stories are passed on from one generation to the next. She said the exhibit will do this by increasing general knowledge and raising questions about how we can explore issues of memory, identity, and history through images and artifacts. Each family will have a dedicated section of the exhibit space to share their story. Photos and biographies from the first family members to reach Cannon Beach to the most recent generation will be shared through a simple and straightforward display combining images from the Museum’s archives as well as photos, recorded interviews and in some cases artifacts. 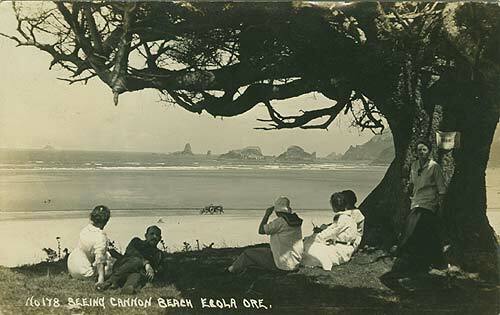 In the early years families had a difficult time getting to Cannon Beach. They traveled by stagecoach, wagon, or by foot. Peter Lindsey, a long-time resident and author of Comin’ in Over the Rock, compares the journey from Seaside to Cannon Beach as “the Bataan Death March.” The road, barely more than a trail, was a muddy mess for most of the year. 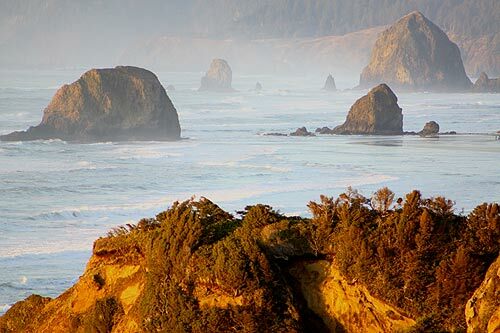 At one point the road to Cannon Beach was purported to have a stomach-churning 111 turns. And yet, they came. Some even stayed throughout the year. Through blustery winds, torrential rains and bitingly cold nights. They not only survived, they thrived. Murdy called them the “intrepid families of Cannon Beach.” The exhibit will be on display two more weeks, until the end of September. The “Families of Cannon Beach” exhibit is partly funded by the Oregon State Parks Program, the City of Cannon Beach, and the Museum’s annual supporters. The Museum’s admission is by donation. They are open from 11:00 a.m. until 5:00 p.m., Wednesday through Monday.